A candlelight vigil was held for Corporal Bryan Lauw in his homestate of Louisiana. 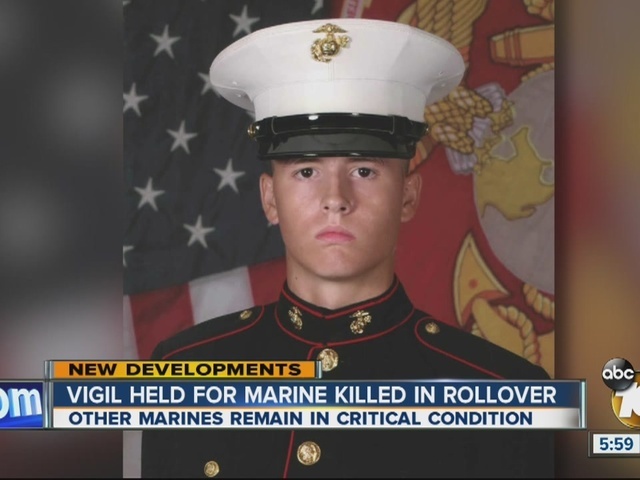 He died in a rollover crash at Camp Pendleton Thursday. His dad, Rick Lauw, was heartbroken but wanted the world to know the great man it lost. "One of the things we always said when we dropped him off at the airport was, 'It's not goodbye, it's see you later,'" Rick said. "It's still the same," He added through tears. "He's not going to come home, but we are going to see him later." Bryan talked to his sister last week. "I said, 'I'll talk to you later. I love you.' And he said, 'I love you too'," she said. "I hate that I'm never going to be able to talk to him again." He was her baby brother, but he did not act like it. "Even if someone was just hitting on me, he had to say something," Ashley explained. "He had to make sure his family was protected." He did the same for his country. 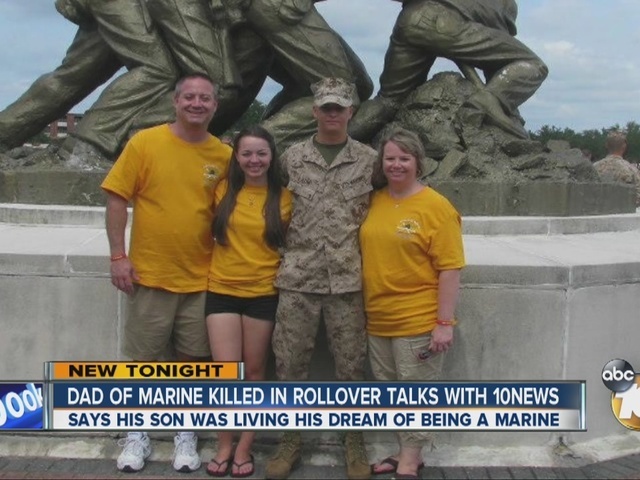 He joined the Marine Corps in 2012 and found a second family. "He loved doing what he was doing," Rick said. He made it through two deployments only to die during routine training on home soil. They were going down Basilone Road in a 7 Ton truck. A source tells 10News they clipped the rail around a curve and rolled, then cars crashed into them. Marines scrambled to save each other. Then, the horror turned to heartbreak. Eighteen were hurt. Corporal Deon Williams' was one of five in critical condition as of Monday. His grandma said he was in a coma with skull and brain damage. Rick said that it is important to remember what the other families are going through as well. Rick said his boy did not stop protecting them; he is just doing it from above. "If you've got to have a guardian angel, you can't have one any better than we've got," he said.